This group is for focusing on best practices that use various Yelp Community and Review capabilities in order to achieve a dealer or group's marketing communication and reputation management objectives. Recent reviews by Ralph P.
How Long To Create a Listing on Yelp? What about suing people who post false information in a review of your dealership? I'm considering legal action — what are my rights? Nobody likes to get a negative review, and it's even worse if you think it violates your legal rights. Consider the consequences before you get your lawyer on the phone, however. Defamation suits are notoriously expensive and difficult to win. Worse, they are very public: we can point to countless examples where crusading lawyers have only done their clients harm by drawing attention to posts that would otherwise have been ignored by most rational consumers. There may be rare cases when it's appropriate to take legal action, but in most cases, you won't get what you are looking for by suing someone who gives you a bad review. What happens when my dealership gets a negative review on Yelp? Negative reviews are an unfortunate — but entirely normal — part of doing business. Don't be surprised to read the occasional negative review (we certainly have our own fair share of them, too!). While it's important to look for patterns in your reviews (the bread is stale, the same employee is repeatedly described as rude), you should take any individual perspective with a grain of salt. Outsourcing a Dealership's Reputation Management? Should my dealership use a reputation management company? There are many "reputation management" companies that claim to work with Yelp to remove your negative reviews or otherwise boost your ratings... for a fee (of course!). If you're wondering how these companies can make good on this offer, the answer is simple: They can't. There's never been any amount of money one can pay — to Yelp or any third party — to manipulate reviews. If you've been contacted by someone offering something along these lines, Yelp would love to get the details so they can prevent them from preying on others. Please contact Yelp to send them the details. Finally, as Yelp has said in the past, the best strategy for reputation management is to provide great customer service, and respond diplomatically to your dealership's reviewers. Pay to Get Rid of Your Dealership's Bad Yelp Reviews? Will Yelp remove or reorder bad reviews if a car dealer pays for sponsorship? No. You can't pay us to remove or reorder your bad reviews — it's just that simple. It's worth pointing out some additional checks and balances that we build into the system: among other things, our sales team doesn't have the administrative privileges that might allow them to remove a bad review for an advertiser; similarly, the folks who do have those privileges don't have anything to do with sales and aren't compensated on the basis of sales performance. Yelp seems like a place for consumers to vent about bad experiences. Aren't most reviews negative? We crunched the numbers, and here's what we found (as of August 2011). As you can see, the vast majority of reviews range from neutral to positively glowing. Should I ask customers to write Yelp reviews for my dealership? Probably not. It's a slippery slope between the customer who is so delighted by her experience that she takes it upon herself to write a glowing review and the customer who is "encouraged" to write a favorable review in exchange for a special discount. And let's be candid: most business owners are only going to solicit reviews from their happy customers, not the unhappy ones. Over time, these self-selected reviews create intrinsic bias in the business listing — a bias that savvy consumers can smell from a mile away. Don't be surprised, then, if your solicited reviews get filtered by Yelp's automated review filter. What causes certain Yelp reviews to be filtered? 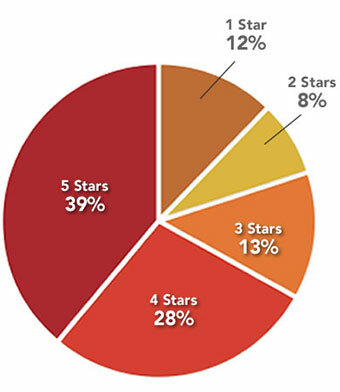 Yelp uses filtering software to determine which reviews should be filtered on any given day among the millions that are submitted to the site. The software looks at a wide range of data associated with every review. Yelp intentionally makes the filter difficult to reverse engineer -- otherwise, they would be overrun by reviews written by people hoping to game the system. So while it may be tough to decipher how the filter works, the rules are actually the same for every business and every review... Regardless of whether or not the dealer is spending money with Yelp! A Yelp review written by a real customer of mine was filtered — can Yelp restore it? The Yelp review filter continually reevaluates its decisions based on the information at hand. As a result, it's fairly common to see reviews come and go as the filter picks up new information. Either way, business owners should probably focus less on any one review and more on their entire body of reviews. Reviewers, in turn, should contribute to the site and give the filter a chance to get to know them over the long-term. Why does Yelp have a review filter? Why were these reviews filtered? Can I ask my customers for reviews? What are Yelp's review guidelines? I'm personally interested in hearing more on the process to 'publish' Yelps Filtered Reviews that have so many dealers upset. 1. Their algorithm is designed to filter any user with incomplete profiles and active time on Yelp. 2. Yelp puts their filtered reviews on a non-SEO friendly page, this is why you need a Captcha Code to acces it. This is there so the web-bots can not access it to publish this info on the World Wide Web. and.. True, consumers do search for common search terms on popular search engines relative to the geographical location of ones business & services, but how is this relevant to why "filtered reviews MUST show up? Do you mean because it's additional SEO value thats lost opportunities that potentially may be converted to published positive reviews online? YELP has a filtered review process that hides many great reviews from the public. Did you know that? Your filtered reviews - often great, are hidden from a normal search result and never get to help influence a potential buyer or prospect. How would you like to see those reviews released and spread globally throughout all the review and search sites, google included so they get seen in consumer online searches? Remember, folks search by category or geography, not by the name of your dealership becase, although they are car shopping, They often may not know the name of your dealership. Thus filtered reviews MUST show up and now they do not. Getting those filtered Yelp reviews seen and spread throughout the web is one of the many services we provide via our reputation management solutions at Reputation911.